The fate of anti-corruption chief Wang Qishan is one of the most intensely debated and scrutinized issues ahead of the 19th Party Congress. Wang is 69 this year and should be headed for retirement, according to the Chinese Communist Party’s retirement norms. But Xi Jinping seems keen on keeping Wang in office to preserve the results of his anti-corruption campaign and continue it for another five years. Meanwhile, the Jiang Zemin faction is doing their best to discredit Wang in the hopes that Xi will abandon his most trusted ally and the anti-corruption drive—a scenario which allows the Jiang faction to avoid complete elimination. Most observers believe that Xi faces a stiff challenge in allowing Wang to stay in the elite Politburo Standing Committee. Our take: If Wang fails to make the Standing Committee, Xi will still very likely pick him to helm the anti-corruption campaign, albeit in a different capacity. Wang may become the first head of the new National Supervisory Commission (NSC) when it is inaugurated at the Two Sessions meeting in March 2018. The NSC has jurisdiction over employees in government departments and state-owned firm, as well as CCP cadres. Unlike the CCP’s anti-corruption agency, the NSC will possess law enforcement and prosecutorial powers. If Wang heads the NSC, he will very likely not be appointed Party secretary of the Central Commission for Discipline Inspection (CCDI). The CCDI chief and Ministry of Supervision head could be made deputy directors of the NSC, and will be subordinate to Wang. 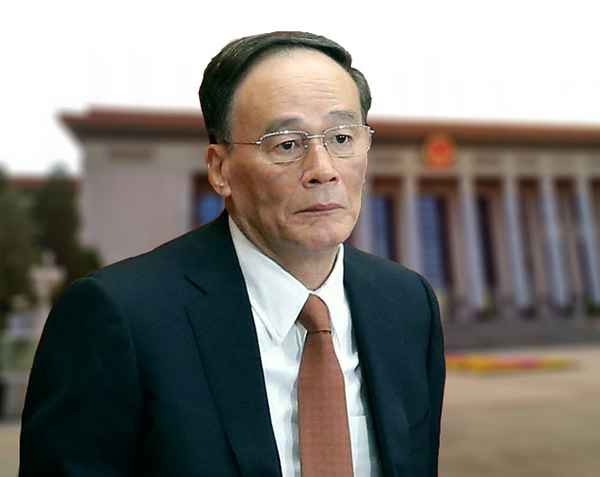 Contact us for in-depth analysis about Wang Qishan’s fate at and after the 19th Congress. See our five 19th Congress Politburo Standing Committee scenarios.